Internet Proxy Risks: How Secure Are You? Most people want two things when they go online: security and anonymity. If you do a little "Googling" on those subjects, you'll easily come across the use of proxy servers as a quick, easy and sometimes even free solution to get both. A proxy will promise to hide your IP address while you're surfing the internet, which on the surface, addresses those two concerns. But there's more to a proxy server than meets the eye. A lot more. What you can't see may hurt you. When you use a proxy server, you're essentially surrendering your own IP address to the proxy server—a large computer—for the privilege of using their IP address (a substitute) to visit websites or do other online transactions. This makes you "anonymous" to the websites you're visiting (third parties)...but not to the proxy. It's like asking your friend to go to the store and buy tampons or condoms for you because you feel embarrassed about it. People at the store only see your friend's face and they won't ever know that you're the one who actually used the products (although your friend would probably never let you forget it). The thing is, not all proxies are created equal. Not all proxies are like your friend who promises to keep your name out of it. According to the website DarkReading.com, proxies are run not just by security-minded companies, but by criminals as well. That's why you need look before you leap. You're not as safe as you hope...or think. When your data travels through a proxy, it oftentimes travels in an unencrypted format. That's not good. Here's why. It means that anyone who might intercept your data in transit could easily see sensitive information, like the usernames and passwords of your online accounts, bank and credit card details, IP address, etc. Seeing all that isn't the bad part. Because you are vulnerable to identity theft, among other things. Hackers, the proxy webmaster and even the proxy owner can sell or use your data however they want, without your knowledge and not with your consent. Proxy providers, if they're criminally minded, can also infiltrate your sessions with viruses and spam through a lot of pop-up advertisements, which you may inadvertently click or download. What could happen if that's the case? Nothing good. In fact, one such malicious proxy that was shut down was known as DNSChanger. It rerouted trusting and unsuspecting Internet users to unwanted ads and put malicious programs on their computers—turning many of the innocent victims' computers into "bots" (robots) controlled by the hackers. Think "zombie" computers and you get the idea. 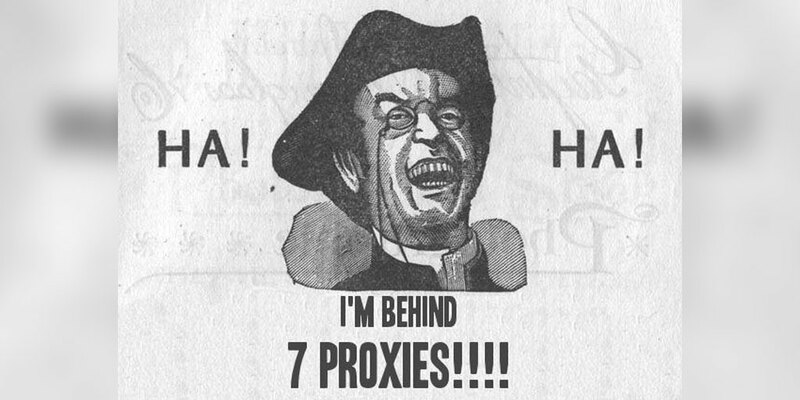 So, should you just stay away from proxies? Not really. As with everything you do online, think before you click. There are a lot of proxies out there with trusted name brands and good user reviews. You might have to pay a little fee for those, but considering what's at stake, it's better to be safe than sorry. If you can't afford to spend any money and are only looking at free proxy servers, check out those that are "HTTPS." Then make sure that you'll only be surfing on HTTPS enforced sites. But there's a better way to go. There are also other ways to safely hide your IP address and one of them is using a Virtual Private Network (VPN). A VPN is an alternative to a proxy, one that offers more security, more reliability, a faster internet connection and is essentially hacker-proof. Plus, there are plenty of reliable, trustworthy VPN providers to choose from. 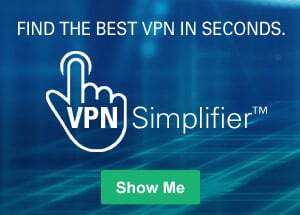 Check out our VPN comparison page.